Jerico Contemporary operates both as an art consultancy service as well as an innovative gallery platform showcasing contemporary art from both emerging and established artists. Curatorial projects include solo artist and group exhibitions, as well as the ongoing Overture exhibition series, which pairs emerging artists with emerging collectors. Jerico Contemporary performs a comprehensive list of services which include advising on acquisitions, negotiating sales on behalf of clients, providing tailored advice on building a collection and complete collection management. 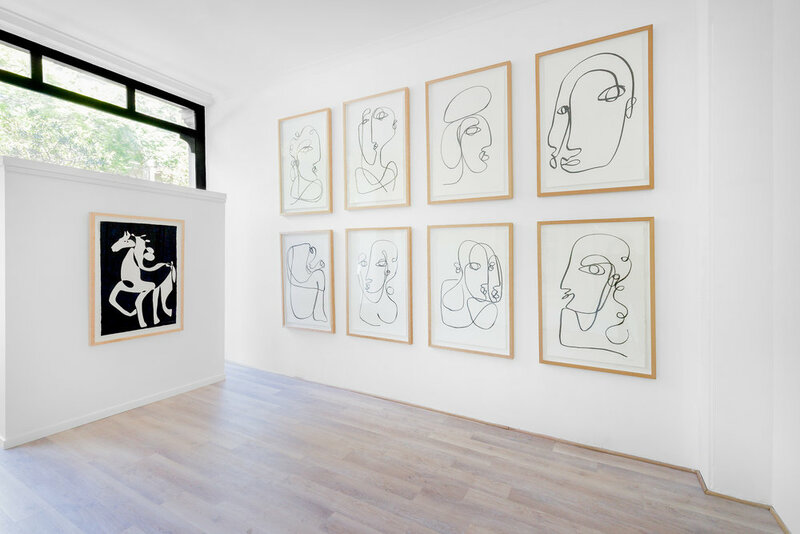 Jerico Contemporary opened a new gallery space in Woolloomooloo in January 2018. After eight years building and maintaining relationships with artists, clients, dealers and collectors in Sydney, Jerico Tracy launched Jerico Contemporary in September 2016. Jerico holds a Masters in Art Curatorship from Sydney University, a Bachelor of Art History from the College of Fine Arts and a Bachelor of Arts from the University of New South Wales. In 2018, Jerico was selected to join the International Lamborghini Female Advisory Board. As a committed arts philanthropist she is a member of the Art Gallery of New South Wales' Atelier Program and a Museum of Contemporary Art's Young Ambassador. With experience at the Art Gallery of New South Wales, Shapiro Auctioneers and Christie's in London, Jerico has in depth knowledge of the commercial art market and extensive knowledge of contemporary Australian and International Art. As the director of Jerico Contemporary Gallery, Jerico works closely with artists, collectors and clients to make art more exciting, engaging and accessible. Additionally, Jerico advises private collections of international clientele with discretion and integrity. Director of Jerico Contemporary, Jerico Tracy. Born in Sydney, Australia Jerico received her Bachelor of Art History & Theory from the College of Fine Arts, Bachelor of Arts from the University of New South Wales, as well as her Masters in Art Curatorship from Sydney University.